The Sagrada Familia of Barcelona is the most emblematic architectural icon of the city. It fascinates only from outside, and it is worth visiting inside. Currently, you can visit some areas that are open, although others are still under construction. With the price of the entrance, you will help to pay for works of this construction, that it’s planned to be completed in 2026. 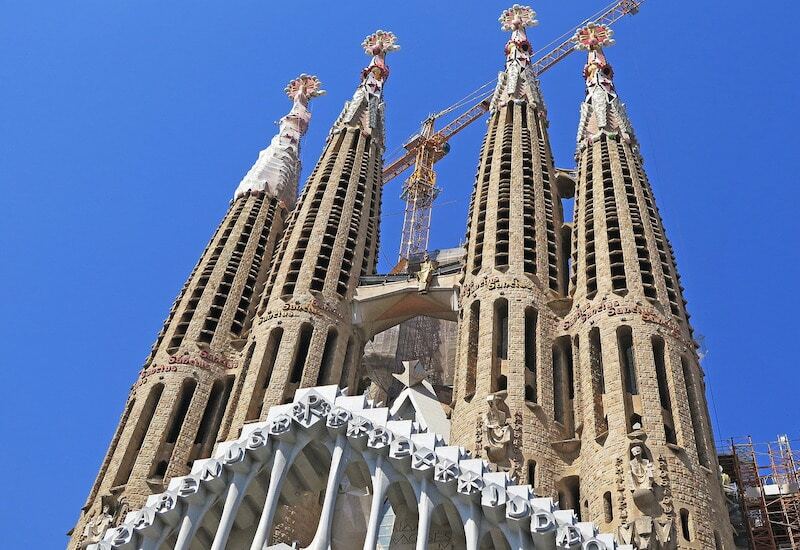 Today we take a walk through the history of the Sagrada Familia and its creator, Antoni Gaudí, and will discover some of its main characteristics. 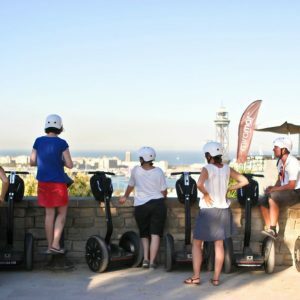 To enjoy it, we invite you to visit it in person. 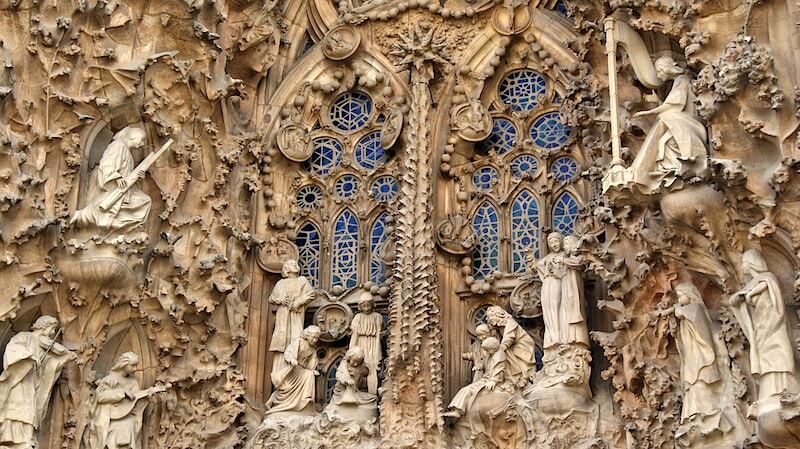 The Sagrada Familia of Barcelona will leave you speechless. We will start by understanding a little more about the history of this temple. Its origins date back to 1866 when Josep Maria Bocabella i Verdaguer founded the Spiritual Association of Devotees of San José. This association was the one that promoted, from 1874, the construction of an expiatory temple that was dedicated to the Sagrada Familia. In 1881 he bought a plot of almost 13,000 square meters to raise it. The first stone was placed on March 19, 1882. After some encounters with the promoters, the first architect of this temple, Francisco de Paula del Villar y Lozano, left its direction. In 1883 Gaudí took charge, and the genius completed the construction of the crypt in 1889. Then, the works of the apse would begin. All these works were carried out through donations. After receiving an important one, Gaudí decided to make a new and more significant work. 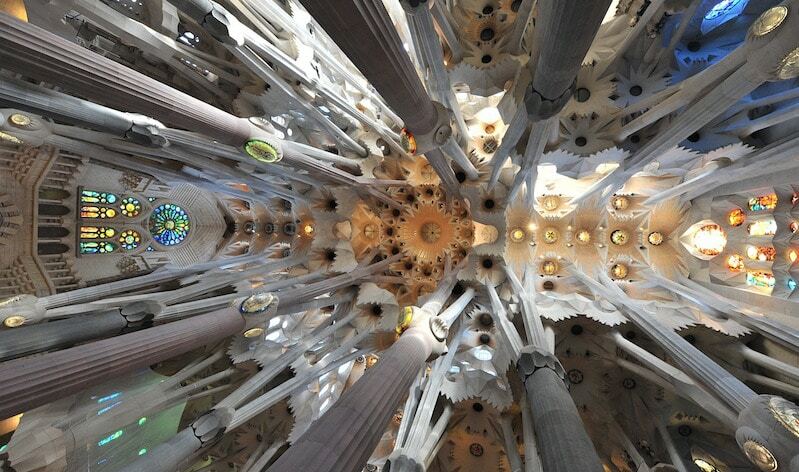 Gaudí ignores the old neo-Gothic project and proposes a more innovative one in the construction, structures, and forms. This new project would be a large church with a plant in the shape of a Latin cross, with five naves with three transects and three facades. Each of them symbolizes three moments of Jesus Christ life: his birth ( Marina Street), his passion, death and resurrection (Sardenya street), and his glory (Mallorca street). Gaudí’s purpose was to construct a building that dropped a mark on Barcelona’s landscape. And, without a doubt, he succeeded: the Sagrada Familia is 172.5 meters high and is one of the tallest religious buildings in the world. And an icon on the city skyline. In 1892 Gaudí begins with the foundations for the facade of the Birth; in 1894 the facade of the apse ends and in 1899 the Portal de Rosario. In 1909 he built the Provisional Schools of the Sagrada Familia, which were intended for the children of those who worked in the construction and the children of the neighborhood. From 1914 the work of Gaudí focuses exclusively on this temple. In 1923 he designed the definitive solution of the naves and roofs, and in 1925 the construction of the first bell tower of the Nativity facade was completed, the only one that Gaudí could see built in life, since he died hit by a tram on June 10, in 1926. His remains are buried in the Carmen chapel of the Sagrada Familia crypt. Then, the direction of the work passed to one of its closest collaborators, Domènec Sugrañes, in charge of it until 1938. In 1936 there was a fire in the crypt. The revolutionaries burned the Provisional Schools of the Sagrada Familia and destroyed the workshop. This fact supposes the loss of original drawings, plans and photographs, and also the destruction of a part of the models. However, the works did not stop, and the original idea of Gaudí was continued. Everything went its course after the Civil War. Francesc de Paula Quintana i Vidal was the architect involved in the restoration of the burned crypt and damaged models, which served as a model to continue the work, whose direction passed through different hands. Today, the 70% of the works in the basilica have been executed, and the efforts are currently focused on the construction of the six central towers. During 2018 it is also expected that the Passion façade will be completed and work will continue on the interior air conditioning and paving of the central nave. 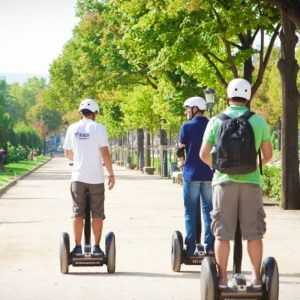 To know the whole history of the Sagrada Familia and enjoy the beauty of its architecture, you have several types of tickets. For example, you can access the temple and visit the towers (with audio guide) for a price of 29 euros. Gaudí projected 18 towers, and, currently, there are eight built (four on the facade of the Passion and four on the Nativity). You have another modality that also includes the entrance to the Gaudí House Museum, although the cheapest option to access the interior of the Sagrada Familia costs 15 euros. Children up to 10 years old can enter for free, and there are discounts for students, retirees and under the 30s. There are also special tickets for groups.